With all of the talent that was assembled for this album, I had extremely high expectations going into listening to it for the first time. 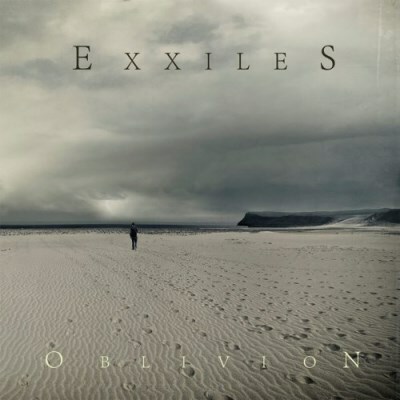 While Exxiles is billed as a “band,” it never feels like one. When you enlist so many different people to do so many different things, the album will feel like a project. Consequently, “Oblivion” lacks the continuity that makes an album great. The album almost feels like separate pieces even though they are meant to be part of the first album in a trilogy. “A Better Legacy” has a solid riff but once things kick in, it seems to lose something. That is a microcosm of the album as a whole. It starts off good and seems to drift off as it goes on. The good news is that Zak Stevens can sing so anything he does sounds great. But the bad news is that his voice is so identifiable with his other bands, this material just isn’t as good. I don’t care how great your concept is, if your songs are stellar, it doesn’t matter. The bottom line is that Exxiles just doesn’t have the songs to back up all the talent assembled here. I would give a pass to weaker material if it was just a band starting out. But if you are going to make a bold statement like “Oblivion,” you better have the music to execute it. I have no doubt that fans who enjoy the overblown nature of Trans Siberian Orchestra will find Exxiles to be quite enjoyable. For me, I’d rather the focus be on tighter songwriting than who I can get to play on my album.